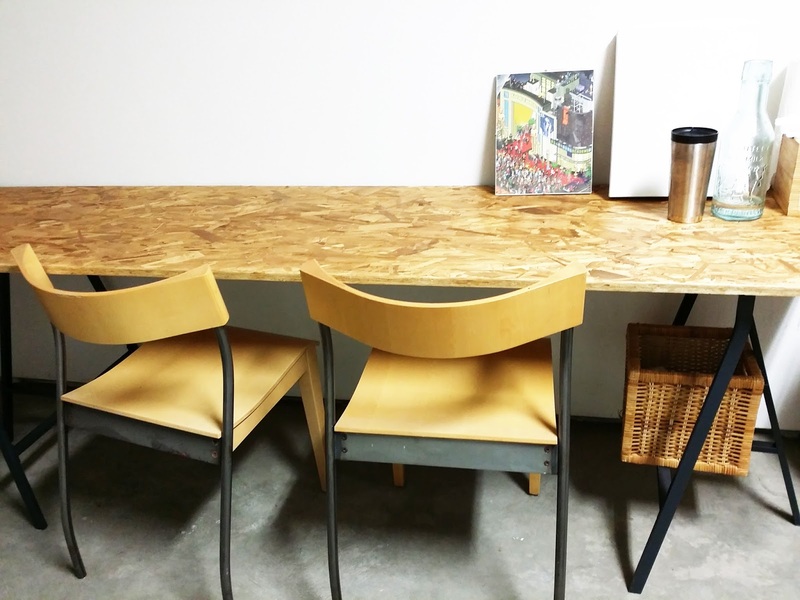 concrete craft room diy drafting table garage garage desk ikea hack ikea lerberg long desk lowes office particle board table trestle wall lined workshop I've been meaning to turn my dusty tandem garage space into an office slash multi-function craft space. Finally got around to picking out some legs to build an "L" shaped, wall-lined table system. I love the simple design of the Lerberg Trestle legs from Ikea - modern meets industrial sawhorse. Left the charcoal color as-is and put a 8 foot long piece of particle board on top. Opted for particle board over plywood for it's durability and ability to retain it's flat table top like shape. Downside is, this thing is a splinter mine so it has to be sanded down fairly well. Particle board was cut to size at Lowe's and sealed with a clear matte finish. 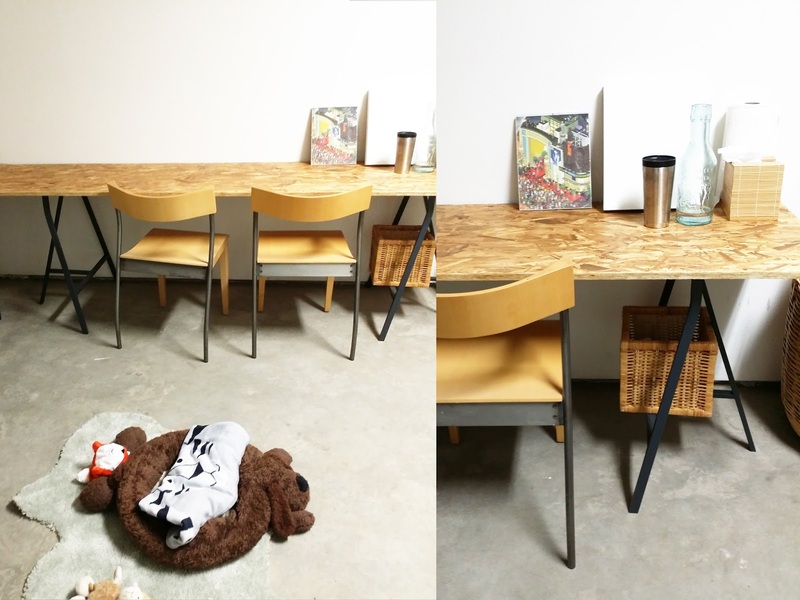 Quick and easy functional tables that can withstand a good beating. Sealer of your choice - Stuck with Minwax matte finish as usual. There area unit huge storage boxes of plastic on the market to carry plumbing components or electrical provides like cables and wires. A tagged box on AN open shelf will be for a group of tools for a selected specialty task, like putting in door locks. These area unit just a few ways that to rearrange your garage tools or look tools and keep your work place clutter-free once engaged on a project garage tools.